Australians are well-known for their thirst for travel AND their thirst for beer, so it’s no wonder that combining these two loves at the famous German Oktoberfest is on most people’s bucket list! But of course, not everyone can get to Munich, so when Oktoberfest comes to Perth, it’s not surprising that so many of us free up our diaries and make a beeline for this festival of fun. Elmar’s in the Valley, an award-winning brewery and restaurant in the Swan Valley has been hosting its own unique version of the world-famous Oktoberfest since 2015 with the hugely popular event attracting thousands of visitors each year from Perth and further afield. Oktoberfest is returning to the laid-back lawns of the biggest biergarten in the Swan Valley on 14th, 21st and 22nd October 2017, with organisers promising that the event will be bigger and better than ever. So what is it about Oktoberfest that Perth loves so much? Naturally, the traditional thirst-quenching Bavarian brew of hops, water and barley that sits in giant glass vats for months, waiting to reach peak perfection in time for its October launch is one of the main drawcards, but there’s so much more to this authentically German celebration that makes it a firm favourite amongst Perthites of all ages. Perth loves Oktoberfest for the food. Elmar’s speciality dish of slow-cooked and roasted pickled pork shank encased in crunchy crackling, cooked on a sizzling bbq and served with sauerkraut is a firm favourite with other traditional delights like Käsespätzle (German ‘mac and cheese’), Bratwurst sausage and Kartoffelschnitze (potato wedges) among the many tasty reasons for heading to the valley. Perth is also mad about Oktoberfest because it’s FUN! Games, whacky competitions, entertainment, live music, great company and plenty of good cheer make it the place to be. 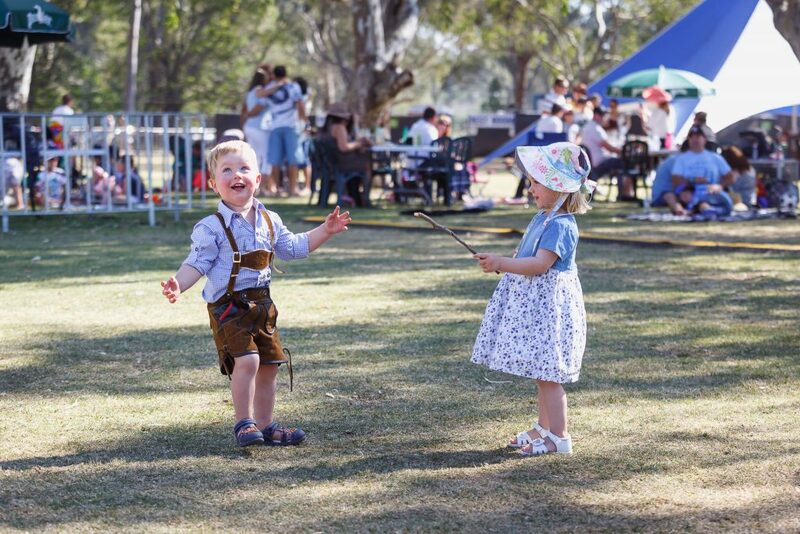 And with a dedicated family day on Sunday 22nd October, filled with kid-friendly entertainment, even junior Perthites will love all that Oktoberfest has to offer. But the authentic German experience is probably the main reason why Oktoberfest is so popular with Perth people. The traditional Marzen (special Oktoberfest beer) at Elmar’s in the Valley is brewed according to strict Bavarian Beer Purity laws and is served in one-litre stein beer mugs - just as it is in the beerhalls in Munich. Add the sounds of ‘Ein Bier, bitte!’ (a beer, please! ), ‘Prost’ (cheers! ), happy conversations and laughter, the energy of a live band, and the delicious aromas of genuine German delicacies sizzling on the BBQ to the mix and you’ve got yourself the same vibrant and exciting atmosphere that you’ll find at the famous Bavarian celebration. When German migrants, Elmar and Anette Dieren opened their brewery and restaurant at Elmar’s in the Valley, it was only natural that they would find a way of sharing their passion for great German food and beer - and Perth’s very own Oktoberfest was born. It’s gone from strength to strength, selling out year after year, and is now a major fixture on the city’s entertainment calendar. 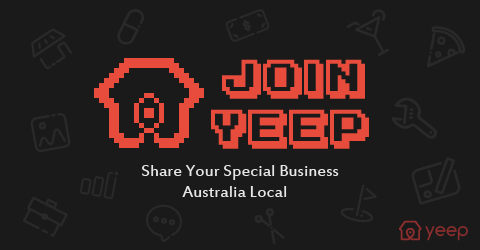 So, if you want to secure your spot for one of Perth’s favourite events, you’d better get in quickly by visiting www.elmars.com.au to book tickets or calling them on 08 9296 6354. It’s that time to celebrate your dad’s upcoming birthday and you want to make sure you give him the best possible gift ever. There are many things that a dad will love to have, but it will all depend on the kind of dad you have. 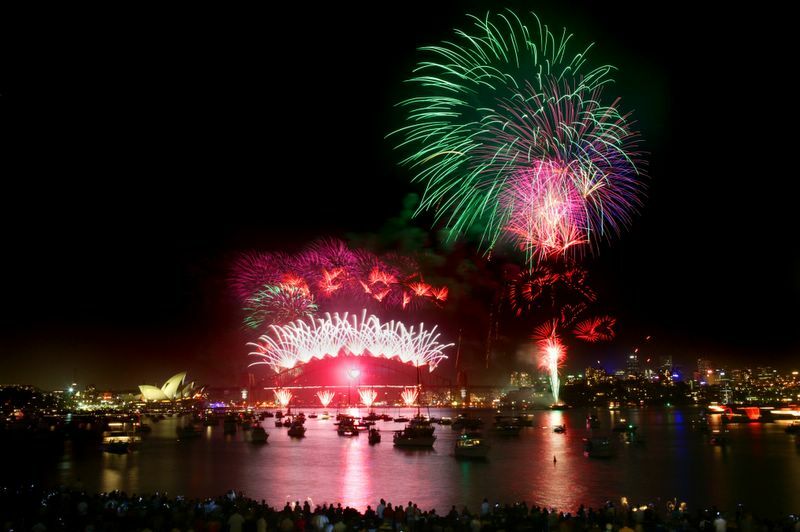 An Exhilarating New Year’s Eve Cruise In Sydney: Welcome 2018! It was coming to the end of a tedious functional year and I was wearied out and tired. Though corporate careers pay well, they simply sap your energy.